Marisha Pessl, business as usual. Everything I wanted and more. Every book she writes asks curious questions, lays out thought provoking observations, and always adds the perfect amount of mystery and intrigue in her genre blending story. Pessl has become a favorite author and she exceeded my expectations with this one. Not as outlandish as Special Topics and not as complex as Night Film, but thoroughly enjoyable with dynamic characters, fascinating plot twists and concepts, and a story about life and death and the relationships within them. The narrator does a wonderful job. Well done all around. Could press stop. Groundhog Day meets Veronica Mars, intended in the best way possible. A great teen mystery, with a Groundhog Day twist that gives the characters a huge canvass on which to grow and figure out their complicated lives and the complications of life. Don’t be turned off by the YA designation, while this book would be great for teen readers (I imagine devouring this book as a kid again and again), a terrific, meaty and suspenseful tale with Pessl’s unique voice and trademark wit and turn of phrase. It may be PG-13, but that doesn’t make it any less enjoyable or compelling. Great performance, too, if you can (and should) forgive the narrator’s lamentable genteel southern accent. Get past it, and you’ll be rewarded! Good book, but not her greatest work. I enjoyed this book. It deals with the afterlife and has several interesting ideas about what goes on after we die. I realize that this book is intended for a young adult audience but some parts of it felt a bit flat or unbelievable to me. 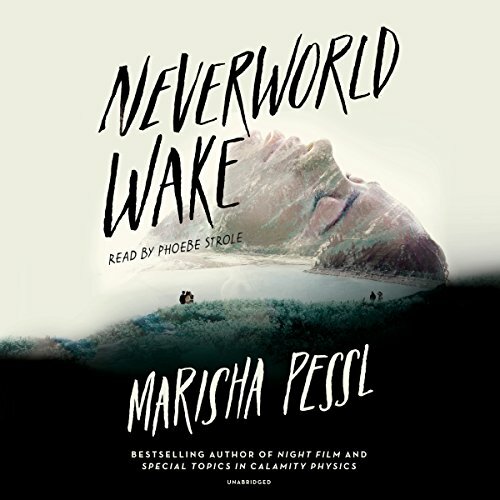 I LOVE Marisha Peel's other books, especially Night Film, and this one just didn't quite reach that level for me but it was still an enjoyable read. ⭐️⭐️⭐️⭐️ “‘It’s almost gone, look around’. If only someone had told me that before, about life…” This is perfect. I had mixed feelings going into the end of the book, but I genuinely enjoyed it. The characters were hard to relate to, and Kip… Kip drove me nuts. But this book was exactly what it needed to be. And I love it for that. I love Marisha Pessl’s work, and this book was no exception. In the beginning I thought Jim’s death was a veiled side story, one that may not ever be talked about properly, but it wasn’t that at all. Realistically it was the reason for it all. All in all, I enjoyed this book, and though it had some points I didn’t love. I still rate it well and would recommend it to everyone. Side note: I can’t help but wonder how good it could have been if it hadn’t been YA. Nothing against YA, I love it dearly. But I just wonder what dark spin could have gone on, and how much deeper the characters could have been, had it been geared more towards adults. Just a thought! The story is compelling and interesting, well written, but has much more of a YA feel than I had expected. I loved Night Film by the same author, and would highly recommend it! I thought Pessl could do no wrong, but I was wrong. This is a young adult novel, so perhaps they will like it better than I. Though not a long book, it felt endless. The first half was essentially the same day lived over and over again and not in an interesting way. Unfortunately, I chose this as a "long car ride" book, so we kept at it. I did want to find out what happened. The second half was definitely more interesting than the first, but in such a basic way - the good guy isn't really good, the mean girl isn't really a mean girl and she's doing it all for you, etc. The mystery, once solved, was overly complex. So different than anything I have read recently. Unique story with a great life message!! I found this to be a little boring anddrawn out. The ending was a dud. It's a premise done many times before, but well executed in this case. A good example of less being more, like an old Star Trek. Since I was little I've held to the fear of God but not in the way preachers, priests, pastors and stern Sisters with sturdy yard sticks wanted me to believe. I've felt like I kept living the same life, over and over, making the same mistakes and maybe even leaving myself recurring signs along the way so maybe next time I'll get it right. I've felt that we've all been judged, damned and left to our recurrent misery. When you think about it, it explains a lot. This is the first work of fiction I've ever come across that tiptoes right up to the edge of what I have instinctively always suspected. It isn't written for a damn near 50 year old nihilist but I was amazed to find I'm not the only one who has harbored such suspicions. The characters do better with their version of groundhog day than I suspect I'm doing. It's very much worth the credits to listen in.